Indianapolis, the capital and largest city of Indiana, US is the economic and cultural centre of the Indianapolis metropolitan area. The city is a niche mix of philanthropic community that functions on an economy based on strong finance and education. In this city of innumerable opportunities, opt for a CSD certification in Indianapolis and proceed further on your career path. KnowledgeHut brings to you a specialised and detailed 5-day CSD training in Indianapolis by the best trainers and tutors who will equip you with necessary material as well as practice sessions in the workshop which give you first hand practical experience. The first day of the CSD course in Indianapolis will constitute an introduction into the basics of various aspects of the course followed by discussions on electives on the second day. On the third and fourth day, various technical aspects of CSD training in Indianapolis will be taught in the coaching through adequate e-learning and classroom demo methods that have been deemed satisfactory by the KnowledgeHut Academy. The fifth day constitutes recap lectures of the entire Certified Scrum Developer training in Indianapolis. Enrol in this course and avail the endless benefits and perks at a reasonable cost, like a 2-year membership with Scrum Alliance along with 100 days free access to our Agile and Scrum e-learning programme. You also get PDUs and SEUs on completion of the training apart from the practical experience working with scrum tools. At KnowledgeHut, we work to make an institute for the trainees. 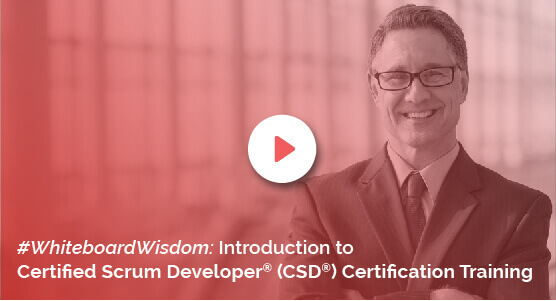 We aim to provide the best possible Certified Scrum Developer certification in Indianapolis at the minimum fee range. Register now to become a part of the KnowledgeHut organisation.